[Live] SC will perform live in Japan, UK, USA, Italy and France before the end of 2008. Concert dates here. [Projects] The record Roman Anglais by Felicia Atkinson & Sylvain Chauveau is out on O Rosa. [Shop] CDs are now available directly from Sylvain. Further information in the "Shop" section. Courtesy of M1 Singapore Fringe Festival. Thanks to Melissa Lim. The new Sylvain Chauveau album is out on Type Records: "Nuage", musics for two films by Sébastien Betbeder. CD and LP (collector: the first 100 copies are on blue vinyl). Further information in the discography. [Links] Watch and listen to the solo concert of SC in Dordrecht, Netherlands, in September 2007: http://video.google.com/videoplay?docid=-6371553186053050826. [Misc] Out 13 February 2008 on screens in France: "Capitaine Achab" by Philippe Ramos, a film including two pieces by SC, taken from "Nocturne impalpable". Official selection at Locarno Festival 2007. [Records] A new SC album is due late november 2007 in the United Kingdom (and January 2008 for other countries): "Nuage", musics for two films by Sébastien Betbeder. CD and LP (collector: the first 100 copies are on blue vinyl): www.typerecords.com. Further information in the discography. [Misc] BOYCOTT DSA ! The label doesn't pay his artists (including Sylvain) and won't do it ever. So please don't buy any SC records to them in stores or online (dsa-wave.com)! Instead, you can wait for the re-issues to come on Type in 2008, on vinyl and cd, remastered and with totally new packaging: www.typerecords.com. [Records] "Down to the bone", the 2005 chamber music covers of Depeche Mode songs, will be re-issued on 5th December 2007 by Japanese label Nature Bliss. It includes a previously unreleased track, "Shake the disease", and new package with a photo by american artist Joseph Mills. [Records] "The Phonecall", previously unreleased orchestral track by SC, is out now on "The Pet Series - Volume 6" compilation of Volkoren label. Available for 10 euros post paid, send bill and your address at Sylvain Chauveau, 17 rue Dupont de l'Eure, 75020 Paris, France. [Records] "My new record "S." is important to me because it's a step further towards abstraction. I spent a long time selecting the pieces, reworking them with great care. Some can think it's a real evolution in my composition style. But on the other hand, I feel that I've never been so close to my initial principles: to start from silence, to add a sound only when it's absolutely necessary, with the help of piano and electronics. I recommend the vinyl version: be careful, it's 45 RPM." [Records] "Down to the bone" will soon be re-issued in Asia by Japanese label Nature Bliss. With a new track (a cover of DM's "Shake the disease"), and the superb video by Vincent Moon for "Never let me down again". New packaging with a photo by american artist Joseph Mills. Out December 2007. The new Sylvain Chauveau EP, entitled S., will be released on September 10. by Type records. [Records] "The Phonecall", unreleased excerpt from the "Les Mains d'Andréa" O.S.T., appears on the compilation The Pet Series volume 6, the mouse released in 2007 by the Dutch label Volkoren. [Site] New document in the french version of this website: the publishing of the notebooks of the conception of the record "Down to the bone" (an acoustic tribute to Depeche Mode). For those who can read French, see at "Carnets". 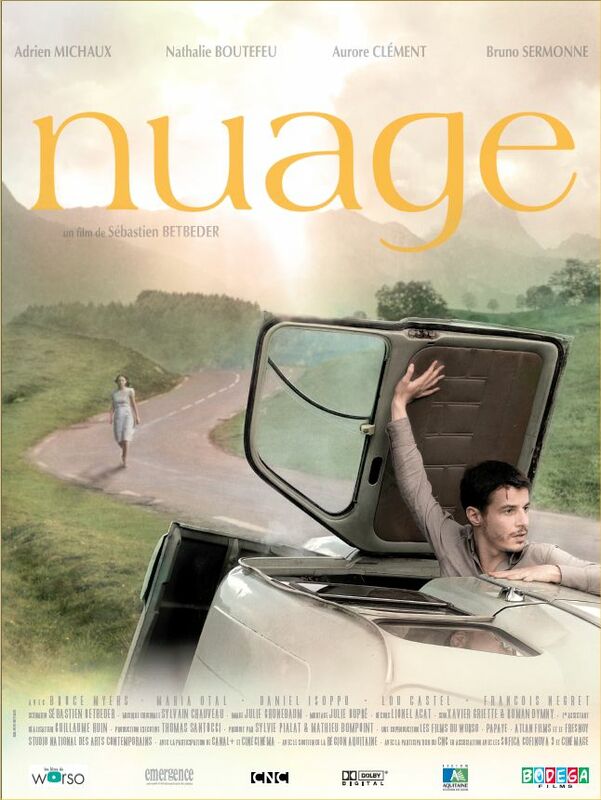 The long feature film "Nuage" (Cloud), by Sébastien Betbdeder, will be out on September 19th in France. The original soundtrack is entirely composed by SC (who even appears shortly in a scene). The movie is selected for the Locarno Festival. The soundtrack, with piano and strings, should be released on record on Type in October (as well as "S.", the new EP). [Links] New videos to watch on Youtube.com: two excerpts of concerts, shot in Umea (Sweden) and in Arras (France). [Misc] The label Les Disques du Soleil et de l'Acier, who released "Down to the bone" in November 2005, still doesn't pay the royalties due to the artist and to the co-producer (studio CDM, Toulouse), after many requests. Every help or legal advices are welcome on this site ! [MP3] "Composition 8", first piece on the new record to be released on Type, is to download on english website BoomKat.com: a compilation of MP3 is available to show the new releases on Type records. [Concerts] After several gigs in Europe, SC's tour goes on in tbe USA, Portugal and Taiwan! Check "Live". [Records] Sylvain Chauveau recently signed to a new label: Type records, based in England, and home of artists such as Goldmund, Helios, Khonnor, Xela, Deaf Center, Tarentel, Benoit Pioulard, and much more. A new EP by SC is due to september 2007 (CD and vinyl): "S.", an impromptu suite of 5 pieces for prepared guitar, piano and electronics. A re-issue of the two first SC albums will follow: "Nocturne impalpable" (2001), and the long time out of print "The black book of capitalism" (2000). New mastering, new packaging, on CD and,for the first time, on vinyl. [Projects] Arca's third album is out on Ici d'Ailleurs. "On ne distinguait plus les têtes" sees the band of Joan Cambon and SC going towards new horizons, with vocals (performed by SC) on almost all songs and more singular atmospheres. Featuring JP Isnardi (guitar), Woody (drums), and English lyrics by Félicia Atkinson (and Andy Richards on "Break-out"). [Projects] Out now: first full length by ensemble 0 (Sylvain Chauveau, Maitane Sebastian, Joël Merah, Stéphane Garin), "Music of wheel", on Creative Sources, the portuguese label famous for its numerous good releases in lowercase improv / composition. "Music of wheel" is a piece composed Joël Merah for piano, cello, percussion/trombone, guitar. A delicate balance between sound and silence, composition and improv. Available by sending a message on this website. [Projects] Sylvain Chauveau has recently finished the original soundtrack for the excellent first long feature film by Sébastien Betbeder, "Nuage" (Cloud): piano and strings, discreet electric guitars, mixed by Pierre-Yves Macé. Actors: Adrien Michaux, Nathalie Boutefeu, Bruno Sermone, Aurore Clément. Out in fall 2007 (Les Films du Worso). [RIP] Vincent Pouplard, who played accordion on "Nocturne impalpable" and "Un autre décembre", suddenly died this month. He was 37. I will keep in mind and as an example his great kindness and his sense of humour. Sylvain, January 17th 2007. [Projects] In February will be released the second album of On, "Second souffle", on Paris-based label Brocoli. The duo of Steven Hess and SC was reinforced by the electronic manipulations of Pierre-Yves Macé (Sub Rosa, Tzadik...). Five long pieces of prepared guitar, abstract percussion, vibraphone, piano and electronics, or how to find a new way after reductionnist improv. Live in the USA in February. [Projects] The next album of Arca will be out in April on Ici d'Ailleurs. "On ne distinguait plus les têtes" sees the band of Joan Cambon and SC going towards new horizons, with vocals on almost all songs and more singular atmospheres. With JP Isnardi (guitar), Woody (drums), and English lyrics by Félicia Atkinson (and Andy Richards on "Break-out"). [Projects] Sylvain has just started his own label called Onement. The main idea is to release one-copy records on vinyl (as paintings are unic). And also very limited runs or rare formats. Style: electroacoustic improv, experimental composition, lowercase sound, musique concrete, minimal drone, field recording... The first release is a record of covers of John Cage's famous piece "4'33" by ensemble 0 (a quartet in which Sylvain plays along with Maitane Sebastian, Joël Merah and Stéphane Garin): 100 copies (no reprint), white cd-r in a transparent jewelcase. Available now for 5 euros plus post taxes on the Myspace page of the label. [Birthday] This website is 5 year-old this month. Very special thanks to Jmix, the webmaster of all this, who adds new infos every month! To celebrate it, here are three new unreleased new pieces in the MP3 page. They are taken from the soundtracks of the recent movie "The Hands of Andréa" by Sébastien Betbeder, and from "In the number of things" by choreographer Serge Ricci. The monthly "Playlist" page will now have a few lines to describe each record mentionned. [Media] On french TV : SC & ensemble Nocturne in the show "Des mots de minuit" on France 2, wednesday 15th March at 1:25 am (French time). Line-up: Sam Crowther: piano / Géraldine Devillières: cello / Marie Legendre: viola / SC: electric guitar, vocals. [Records] Down to the Bone is now also edited by Thai label Small Room. [Concerts] Sylvain Chauveau & Ensemble Nocturne will be on tour in France in April and May 2006, including festival le Printemps de Bourges (April 29th, see "live"). [Records] The album Nocturne Impalpable (2001) is re-issued this month by DSA, after being out of print more than one year. New version with photo inside (by Valéry Lorenzo). [Misc] Sylvain Chauveau's "Radiophonie n°2", from Nocturne Impalpable, has just been covered by italian pianist Luca Miti on his excellent record "Just before Dawn" (Ants, 2005), among pieces by Terry Riley, Alvin Curran, Tom Johnson, Gyorgy Kurtag, and more. [Concerts] Sylvain will play guitar with Félicia Atkinson (spoken words) for a performance closing Atkinson's exhibition at galerie Yukiko Kawase, Paris (see lowfifelicia.blogspot.com), on February 25th (18:00). [Multimedia] Click HERE to watch the nice video of Sylvain Chauveau & Ensemble Nocturne's "Never let me down again" by Vincent Moon. [Records] The version of "Enjoy the silence" that ends up the album Down to the Bone is on the sampler of german magazine Spex's december issue. [Records] American label Aesthetics has just released remixes album of Pulseprogramming tracks, featuring Hood, Schneider TM, Ghislain Poirier, Laub, Barbara Morgenstern, Sylvain Chauveau and more. [Records] Down to the Bone - An Acoustic Tribute to Depeche Mode is available from DSA. The album was produced by Marc Dubézy at CDM studio, Toulouse, France. "Never Let Me Down Again" is available in the MP3 section. [Multimedia] Vincent Moon has made a beautiful videoclip for "Never let me down again", from the album "Down to the bone". [Records] Sylvain Chauveau's new album, Down to the Bone, made of Depeche Mode acoustic covers, is due on November 2, 2005 on DSA. The album is available on advance order (up to October 20th) from DSA (numbered copies signed by Sylvain). [Press] French magazine D-Side #30, out now (with Depeche Mode on cover), features an interview of Sylvain, a review of the forthcoming album "Down to the Bone" and a excerpt of the album on the freebie sampler ("In your room"). [Records] The mix of Sylvain Chauveau's new album, "Down to the Bone", will be finished late July at CDM studio, Toulouse, with Marc Dubézy and Joan Cambon. Release date: late 2005. [Records] To order Sylvain Chauveau's records, just click on the label's name on the "discography" page. Then you are on the label's website, where you can buy them. [Live] If you're interested in booking Sylvain Chauveau for a live concert (solo or with complete band), just send a message at : sylvain@sylvainchauveau.net. [Records] The recording of the new Sylvain Chauveau album has started in January in Toulouse. It's Depeche Mode songs cover record, played with piano, viola, cello, clarinet, contrabass, guitar, and voice. A project born seven years ago. Possible title : "Down to the bone". Pieces have been rearranged with the musicians with some help from Luc Rambo, and recorded by Marc Dubézy. The album has still to be mixed by Joan Cambon. The album is due by the end of 2005 or the beginning of 2006 by les Disques du Soleil et de l'Acier. [Projects] Micro:mega's new album, "Where we go we don't need it anymore", will be released by 0101.10 on 02-28. The Sylvain Chauveau/Fred Luneau duo will perform live at Main d'Oeuvres (Saint Ouen) on 03-09, with Manyfingers and Matt Elliott. [Live] After a small tour in USA and Canada in November, an Italian solo tour is scheduled in January (2-13, + Arca & Angle). Check "live" page for details! [Live] Sylvain Chauveau will do a cinemix on "Que Viva Mexico!" (1931), Sergei Eisenstein's unfinished masterpiece (all the music will be played live) on December 11th, 2004 (21:30 / forum des images / auditorium / Forum des Halles / Porte St-Eustache / Paris / tel: 01 44 76 62 00). [Records] Sylvain Chauveau remixed a Pulseprogramming song, "Within the Orderly Life" (taken from the album "Tulsa for one Second"). This long remix (nearly 7 minutes) keeps the original tempo and melody, but all is replayed with pianos, strings, and electronics. It will be released on Aesthetics in January 2005, on a special vinyl series where the remixers also reinvent the sleeve artwork. [Live] Solo tour to be confirmed in November in the USA and Canada, with On and Below The Sea (dates). Solo and Arca tour in Italy in January 2005 to be confirmed. [Records] One can order Sylvain Chauveau's records for 15 euros directly on DSA's website: www.dsa-wave.com. Also available: Arca's records, and the On album. [Projects] One more time, a restless summer for Sylvain. Arca begin to work on their third record, while micro:mega should finish recording their 4th album in August. Sylvain is also working on a cover album of... Depeche Mode! [Live] This month, the label DSA celebrates his twentieth birthday! Fennesz (guitar), Steven Hess (percussions) et Sylvain Chauveau (guitar) together on stage on May 31st at the festival "Musique Action" in Vandoeuvre-Les-Nancy, France. [Projects] The first album of On (Steven Hess / Sylvain Chauveau), Your naked ghost comes back at night and flies around my bed, is out on DSA. The band tours in France at present (dates). [Projects] The first album of On (Steven Hess / Sylvain Chauveau), entitled Your naked ghost comes back at night and flies around my bed, is finally due in May 2004 on DSA. An European tour is scheduled in May (dates). [Records] Sylvain's new album "Feathers in my head" ("Des plumes dans la tête", in French) is finally due in France on DSA on March 26th 2004. The first track of the forthcoming album is already listenable on this website. [Records] Sylvain's second album, Nocturne Impalpable, has just been reedited by Taiwanese label September Culture, with 2 new sleeves (further information and sleeve scans). [Projects] The first album of On (Steven Hess / Sylvain Chauveau), entitled Your naked ghost comes back at night and flies around my bed, is due in April 2004 on DSA. An American tour is scheduled in April/May, followed by a French tour (further information on DSA's site). [Disques] The new album "Feathers in my head" ("Des plumes dans la tête", in French) is due in France on DSA on March 2nd 2004. The album is made of 20 short tracks, composed for the long feature film "Feathers in my head", by Thomas de Thier, and of two long unreleased remixes. Some of the pieces are not in the movie's final cut , and some have different variations. The remixes are songs by Webcam (Micro:mega's Fred Luneau solo project), taken from the album "Weaving" (Noise Museum , 2000), and competely revisited by SC. [Records] The movie by Thomas de Thier, "Feathers in my Head", whose original sountrack is composed by Sylvain Chauveau, will be out in France on February 25th, and in Belgium on February 28. The first track of the forthcoming soundtrack album, which will be out on DSA at the same time, is already listenable on this website. [Record] Sylvain's next release, "Des plumes dans la tête" O.S.T., is scheduled for first quarter 2004 by DSA. [Misc] Sylvain's label, DSA, will commemorate in 2004 his 20th anniversary! An event will take place on 31/05 during the "Musique Action" in Vandoeuvre-Les-Nancy, with several special guests, around guitar. Main releases scheduled by DSA this year: Nick Tosches, Lee Ranaldo, Keiji Haino, Sylvain Chauveau, and some surprises. [Projects] The Steven Hess / Sylvain Chauveau duo will release in Fall 2004 an album of very calm improvs, under the collective name of On. The record is mixed by Helge Sten (Deathprod, Supersilent). A new tour of the duo will begin in Spring 2004 in the USA, and will go on in Europe (including France) until the end of May. [Projects] Millimetrik's first album has been released by the label/distributor Statik (contact : info@statikdistribution). "Variety is the spice of life" features 11 instrumental pieces, Sylvain plays guitar on 3 of them. Millimetrik is the sol project of Pascal Asselin, who is also the drummer of the excellent Quebec post-rock band Below The Sea. [Misc] Two unreleased new tracks are freely available on american label Antiopic's website. "Cinematography 1" and "Cinematography 2" are two very short pieces for piano, violin, viola, and cello, in the MP3 series of July 2003 (" The Allegorical Power Series Volume II") on Antiopic. [Concerts] A live performance of Sylvain will be streamed to the web only on tuesday 21/10 from 19h until 20h (GMT), as part of streaming-only festival "Réseaunances". [Records] The new Sylvain Chauveau album, the original soundtrack of the movie "Feathers in my head", should be out in january 2004. [Concerts] In January 2004, there should also be an English solo tour. [Projects] Then, an improv record with American percussionist Steven Hess will be released. The session has been recorded in summer in a studio in Chicago. And in spring, the duo will be touring in the USA and in Europe. [Projects] Sylvain is currently working on Canadian Millimetrik's first album, due next autumn. [Concerts] New dates added in the Concerts section. [PlayList] Sylvain's May playList is online. [Etc] Felicia Atkinson & Sylvain Chauveau section is online. [PlayList] Sylvain's March playList is online. [Discography] Information about the Japanese Reissue of "Down to the bone" added in the discography. [PlayList] Sylvain's January playList is online. [PlayList] Sylvain's December playList is online. [PlayList] Sylvain's November playList is online. [Discography] Information about the new LP Nuage added in the discography. [MP3] 2 new tracks added in the MP3 section. [PlayList] Sylvain's September/October playList is online. [Discography] Information about the new EP S. and several compilations added in the discography. [PlayList] Sylvain's Summer playList is online. [PlayList] Sylvain's June playList is online. [Concerts] New date added in the Concerts section. [PlayList] Sylvain's April playList is online. [PlayList] Sylvain's October playList is online. [MP3] 3 unreleased recordings added in the MP3 section. [Background] Felicia Atkinson's biography added. [Concerts] New photos added in the Concerts section. [Links] New links added in the links section. [Discography] Press quotes about Down to the Bone - An Acoustic Tribute to Depeche Mode added in the discography. [PlayList] Sylvain's February playList is online. [Bio] Update of the biography. [Background] Update of On's section. [Discography] Details about Down to the Bone - An Acoustic Tribute to Depeche Mode added in the discography. [Discography] Down to the Bone - An Acoustic Tribute to Depeche Mode added in the discography. [MP3] "Never Let Me Down Again" added in the MP3 section. [PlayList] Sylvain's September playList is online. [PlayList] Sylvain's August playList is online. [PlayList] Sylvain's July playList is online. [Discography] Press quotes added in the discography. [Links] New link added in the links section : Felicia Atkinson's LowFi Blog. [Background] Update of Micro:mega and On's sections. [Multimedia] Multimedia section added, with 2 exclusive wallpapers. [Guestbook] The site's Guestbook is online. [Links] New link added in the links section. [Discography] "Collaborations" section added in the discography. [Background] Update of Micro:mega's section. [MP3] Exclusive version of the piece "Alors la Lumière Vacille / Léger" (recorded live with Don Nino in 2003) added in the MP3 section. [Discography] Index added in the discography. [Background] A page dedicated to On is online. [MP3] Exclusive demo version of the piece "Le Brasier de Tristesse" added in the MP3 section. [MP3] Exclusive live recording added in the MP3 section. [Discography] "Des Plumes dans la Tête" O.S.T. and Nocturne Impalpable's Taiwanese re-issue added in the discography. [Taiwan] New section dedicated to the Nocturne Impalpable's Taiwanese re-issue. [MP3] First track from the forthcoming "Feathers in my Head" O.S.T added in the MP3 section. [Concerts] New dates added in the Concerts section (Italian tour). [Concerts] The biography has been updated. [Site] The english version of this site is online!